Your child is no longer a baby, but a pre-toddler. Unfortunately, this term is not used enough. People often still talk of a baby, and then, all of a sudden, about a toddler. There is however a phase in between: the pre-toddler months. A time during which a pre-toddler takes no fewer than three mental leaps: those of programs, principles, and systems. A time during which the brain clearly develops differently to how it did during babyhood. In this article you can read more about your pre-toddler’s brain development from 12-18 months. In this period, it is not so much about new areas of the brain but more how about the aforementioned parts develop further, such as the areas responsible for cognition and learning, movement, language, and social-emotional issues. Memories are stored in our brain. As soon as our hippocampus is well developed, we are capable of storing memories and of retrieving those memories at a later date. We create an archive, as it were, of all the experiences we go through. 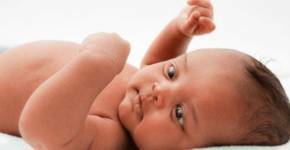 During this period, your baby’s hippocampus is well enough developed to not only store memories but to recall them too. At this point, this is mainly related to things that happened a few hours or even a day before. For instance, you see that once your pre-toddler has taken the leap of programs they start imitating things they have seen others do before (there is a time in between seeing it and doing it themselves). Or all of a sudden, you will see your pre-toddler apply the explanation you gave when you did something a few days after the fact. In your daily interactions you will really notice that your pre-toddler has a memory. This is all the result of the leaps and brain development in the part responsible for cognition and learning. Your pre-toddler actually learns most from the things they experience regularly in their trusted environment. That is why it is so important that you give your pre-toddler the chance to do things with you, and thus learn from that trusted environment. Your little one will now want to help you with simple housekeeping tasks for instance. The brain directs the body; you can see it as the control center. Due to the developments that are now taking place in the part of the brain responsible for movement, you will see that your pre-toddler’s movements have become smoother than they were. Whereas the first steps were somewhat wooden and clumsy, you will soon see the movements becoming increasingly refined. The brain is getting better at learning how to steer and respond and the muscles are becoming better trained; this is all affected by the presence of the now thicker layers of myelin in the brain. By the time your pre-toddler turns 2 years old (and starts to become a toddler), you will see that when they are walking their foot lands first on the heel and then they smoothly transfer the weight to the toes. All movements are become more refined and smoother than before. By the time your little one has successfully mastered these gross motor skills (at the end of the pre-toddler period), you will notice that the part of the brain that plays a role in movement is still highly active. 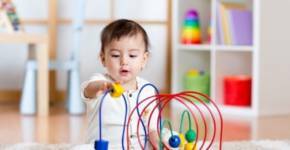 At the end of the pre-toddler period and during the toddler period, your child will learn to successfully steer their fine motor skills. However, with all motor skill developments directed by the brain: the brain cannot do it alone. The muscles will have to do the work when it comes down to it. And baby needs to practice how to use them. Everyone knows that tantrums and frustrations are part and parcel of this age. Some researchers think that one of the reasons that pre-toddlers and toddlers cannot control their feelings is because their brains are still developing. They believe that wanting to do something but not being able to do it properly causes the frustration. This could be something physical such as racing around or related to language, whereby pre-toddlers cannot express themselves well enough to be understood, for example. But one thing is certain: no matter how logical it is for you child to have tantrums and frustrations it does not mean you should tolerate them. 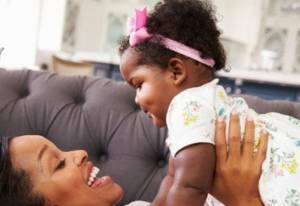 From the ninth leap (that of principles at 15 months), your pre-toddler must learn rules and, as the parent, it is up to you to set those rules. You can see the rules as necessary brain food. You are letting your child down if you do not set clear rules and limits. The explanation partly lies in the part of the brain that plays a role in social-emotional skills. This part of the brain knows, for example, that ‘hitting’ is not allowed, but other parts of the brain really want to get rid of the frustration. Which part of the brain will win? That part that knows that hitting is not allowed needs extra manpower to win this fight. Your rules are the extra manpower required by this part of the brain that knows what is actually allowed and what behavior is good and acceptable. You can hear it and it is unavoidable. At the end of this period your pre-toddler seems to learn to say new words every week. Sometimes, they learn so many words that you could say there is an explosion in their vocabulary. It is therefore logical that the part of the brain responsible for this is now extremely active. But language is much more than simply being able to say words. Language is, of course, about understanding words too. Something we all know, but that adults we still mix up. You can see it for yourself: when a child can speak well, as a parent you automatically respond in a normal way. 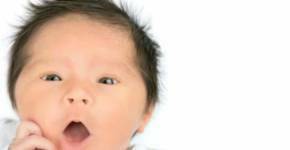 When your child does not use many words, you may be inclined to talk to them in baby language. That is precisely what you should not do! And, there is no logic behind it either. Just because your pre-toddler does not say many words, it says nothing about the words they do already understand!